I was in the middle of a team-development session in Ghana last month, when suddenly the lights flickered and went out. We were in the dark. The presentation cut out. “Oh no,” I said, “I need to come up with a creative, spontaneous team-development in the dark exercise!” Everyone laughed and said don’t worry, this happens all the time … the lights will come back on a minute…. The technical name for what happened to us is a “brownout”, a drop in voltage that causes lights to flicker or dim. Let’s go back to that sinking feeling…. We know what burnout is — that feeling of exhaustion, unhappiness, frustration at work that makes Monday morning feel like something in one of Dante’s circles of purgatory. Adequate work performance feels like a superhuman achievement. Forget about exceptional work performance … there’s not enough energy. Apparently 5% of employees suffer from burnout. Which is an alarmingly high percentage, considering the cost to the individual employee and to the business. I wonder how many of these cases are being addressed and dealt with, on an individual and corporate level? Similar to the lights flickering and temporarily going out in Ghana, brownout is when you are not in obvious crisis, but you are feeling less fired up and energised, less passionate, open and committed than you have been in the past. Perhaps you’re feeling a little weary, a bit overwhelmed, not your normal brilliant, inspired self. Perhaps your balance is suffering, and you find yourself working at home in the evenings after the kids have gone to bed, having a slightly sinking feeling Sunday evening as you contemplate the week ahead. The Times cites a recent study that shows 40% of executives are suffering from brownout. The implications are hugely significant and worrying for both individual performance and fulfilment and team and company performance and results. If we consider 5% of employees are suffering from burnout, and another 40% suffering from brownout, the implications are scary: almost half of executives are working with very compromised energy and performance. Potential and former star performers are currently distinctly sub-optimal. Thinking about burnout and brownout, I have identified another equally alarming condition: whiteout. Whiteout is a weather condition which significantly reduces visibility: the horizon disappears and there are no reference points, giving individual a distorted orientation. So what is whiteout at work? I define it as that condition when an executive has lost sight of the big picture, of their north star, of their own individual inspiration and vision. Without a compelling vision and inspiration, they are almost literally lost in their own front yards, working in the dark, working with obscured vision, having lost sight of why they are doing what they are doing, with reduced or no visibility of the picture. And whiteout causes brownout and eventually burnout. So I have a question for you. 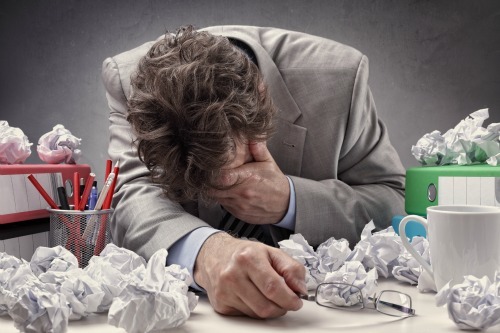 Are you suffering from burnout or brownout? Or whiteout? In another recent survey, 84% of leaders said they don’t have enough energy to meet all daily demands, and 90% don’t have a strategy to prepare themselves for peak performance. However, we can strategically, deliberately build and apply our energy and cultivate greater resilience. On one level it’s about energy management, and it starts with a clear intention to stop making your default mode one of rushing around, coping, dealing with a never-ending to-do list and just assuming you can keep up, catch up. We can build physical resilience and energy by creating and committing to a clear physical self-care plan: doing what it takes to get enough sleep to thrive rather than survive, eating in a way to sky-rocket energy rather than sedate and numb us, exercising in a way that is fun and relaxing as well as energising. We can identify energy drains and take concrete action about the ones we can do something with. And there is also an important piece about understanding your values and your strengths and strategically leveraging your time and energy to express and maximise your unique brilliance. Ultimately, it’s key for individuals and teams to identify and live by the vision that most inspires and lights them up. Without that inspiration, the best energy management plan in the world will still fall flat, and you will be vulnerable to whiteout. Are you prepared to settle for an ok life, an ok career? Or do you want an extraordinary life and work? As 2015 draws to a close and we look forward to a shiny new year full of life and possibilities, why not make 2016 the year you sky-rocket your energy, achieve sustainable brilliant results and work and have more fun? And what new word can we come up with for that level of energy and inspiration? I would love to hear your thoughts. Let’s turn the lights back on and keep them on!